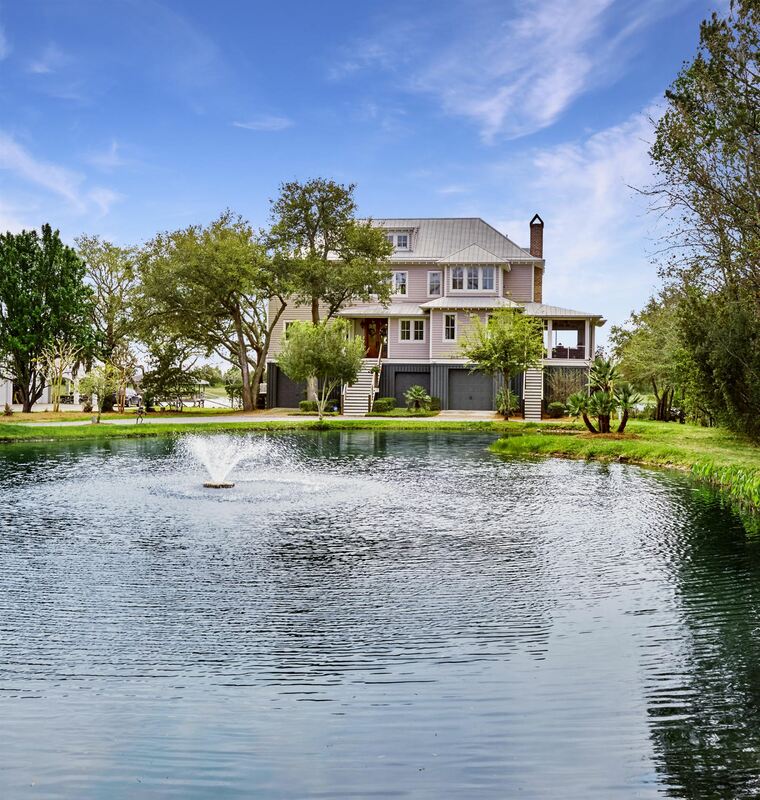 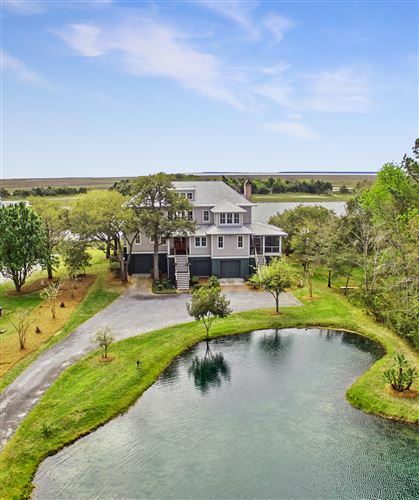 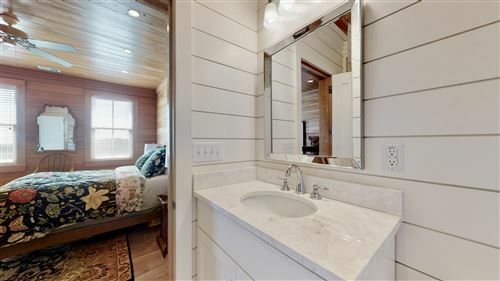 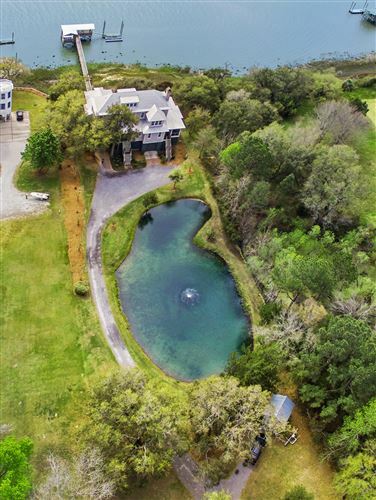 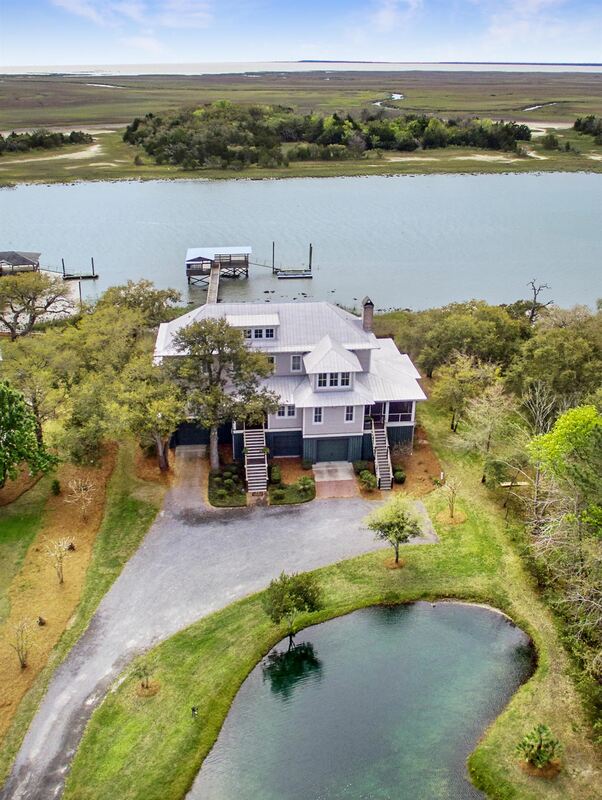 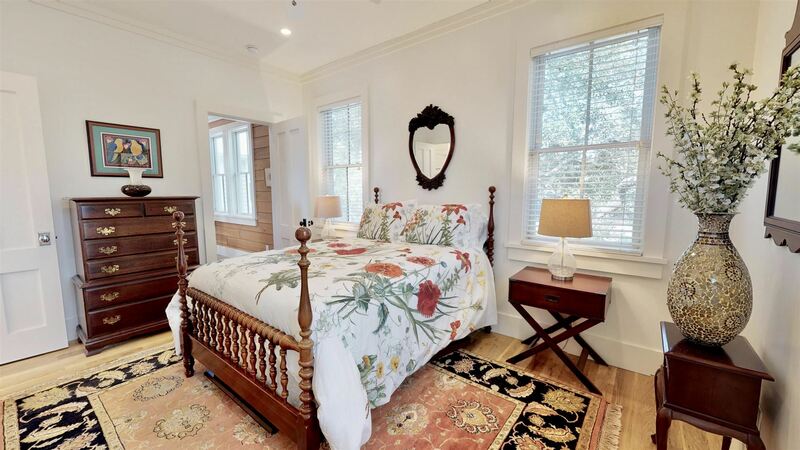 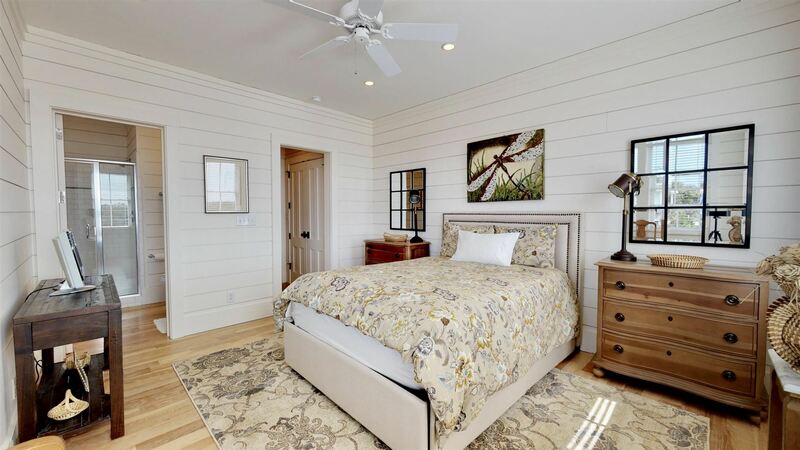 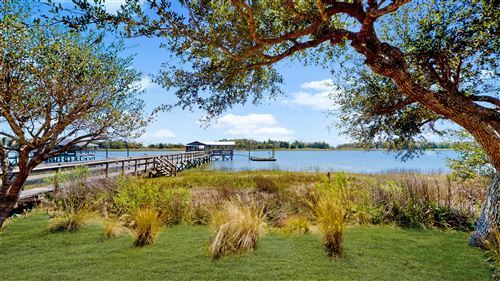 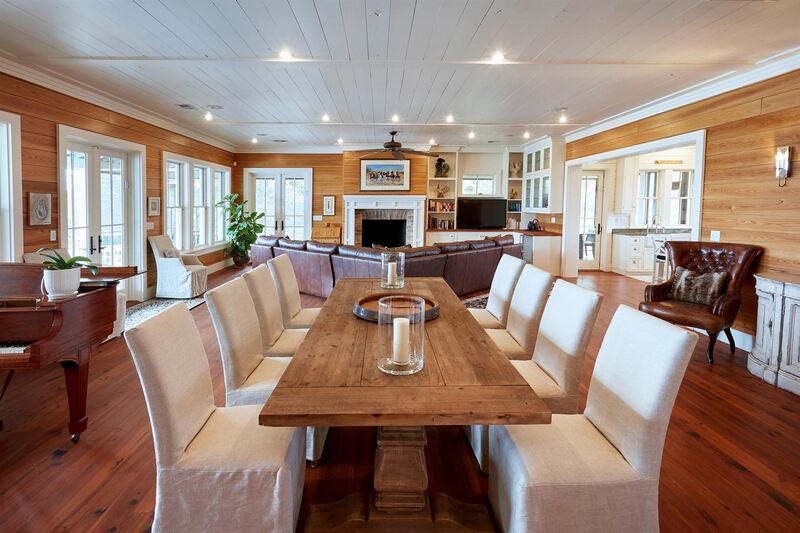 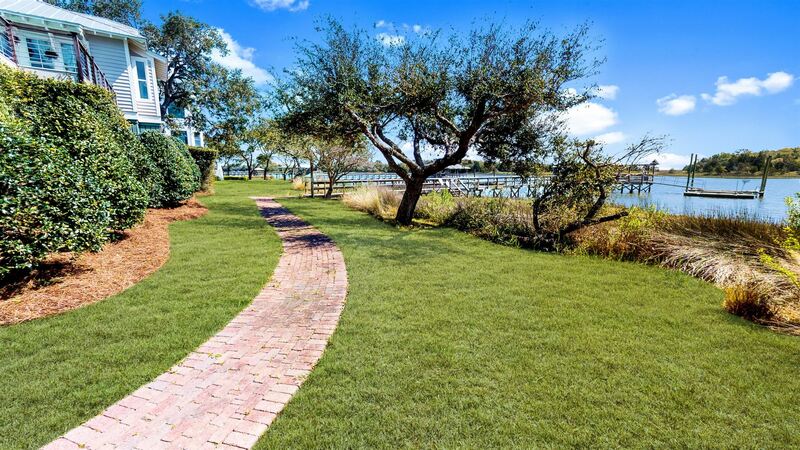 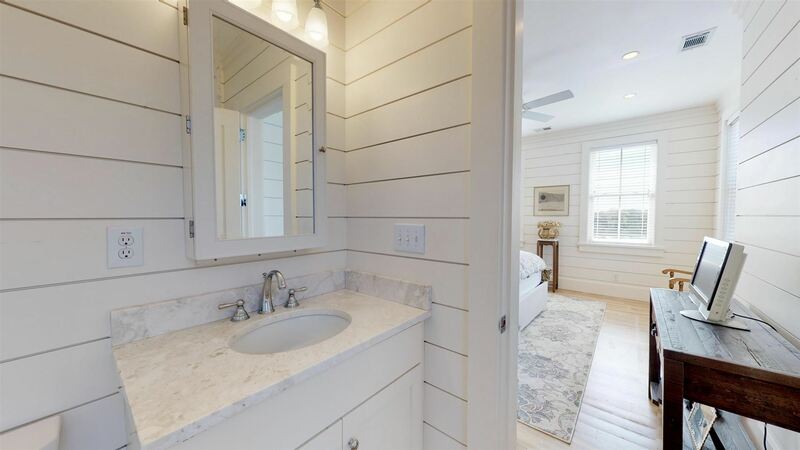 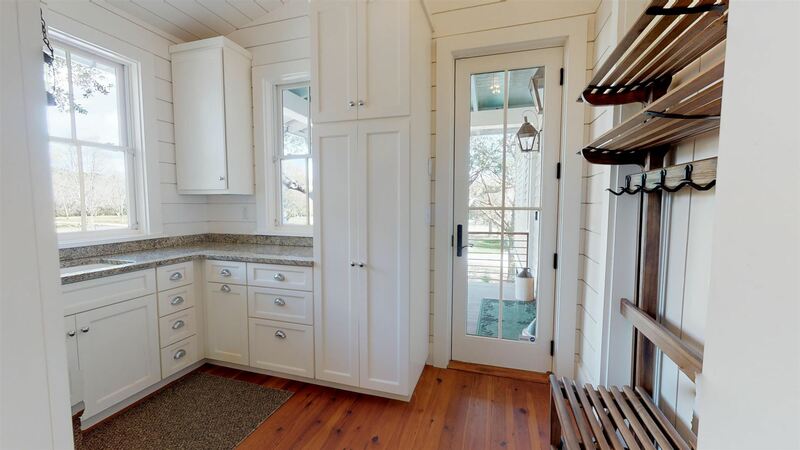 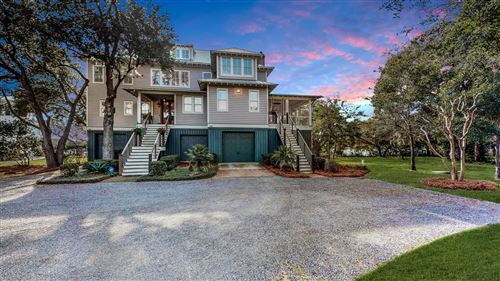 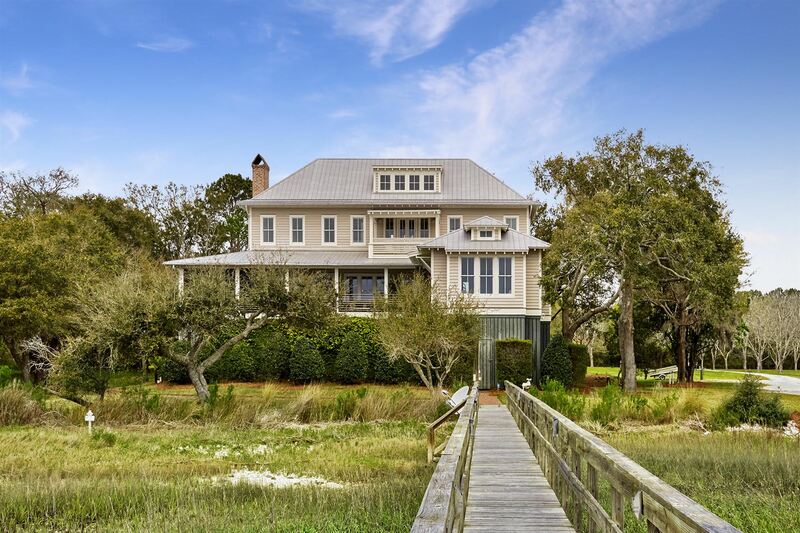 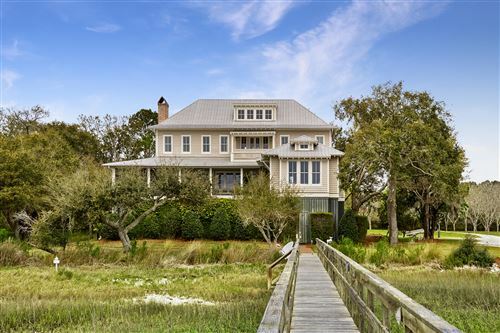 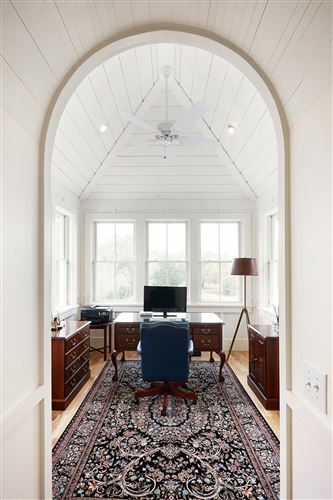 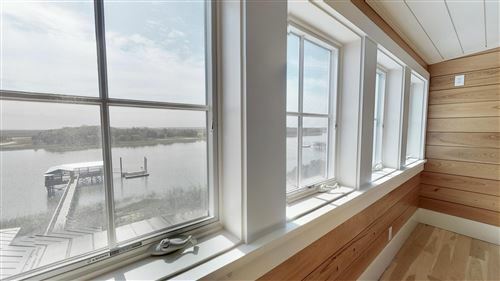 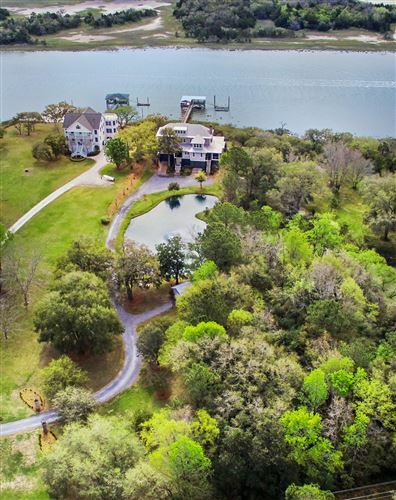 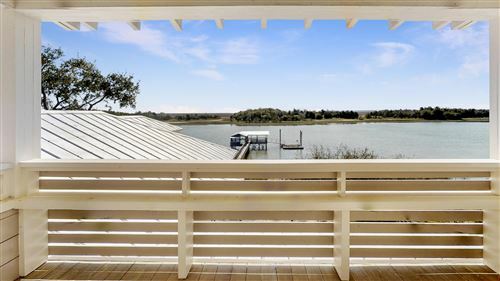 Simply one of the finest built homes in Charleston, located in Awendaw, SC in a picturesque setting with wonderful outdoor spaces overlooking the intracoastal waterway. 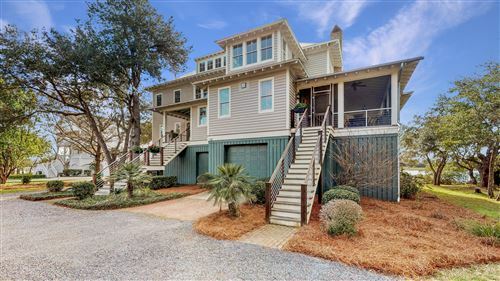 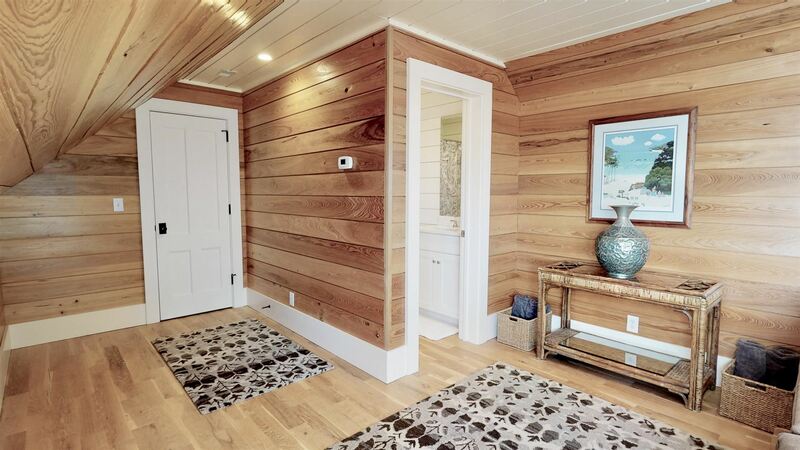 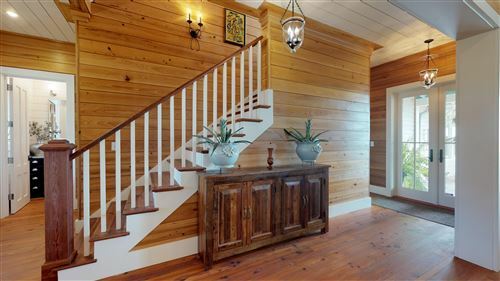 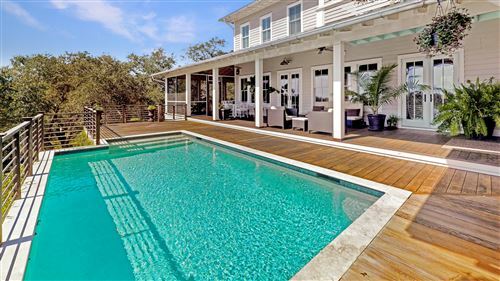 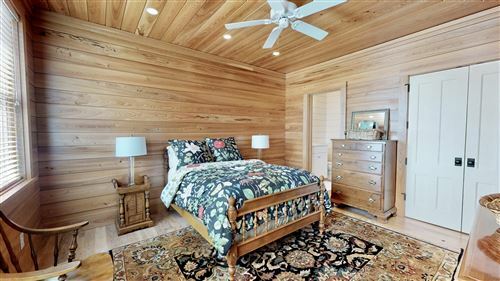 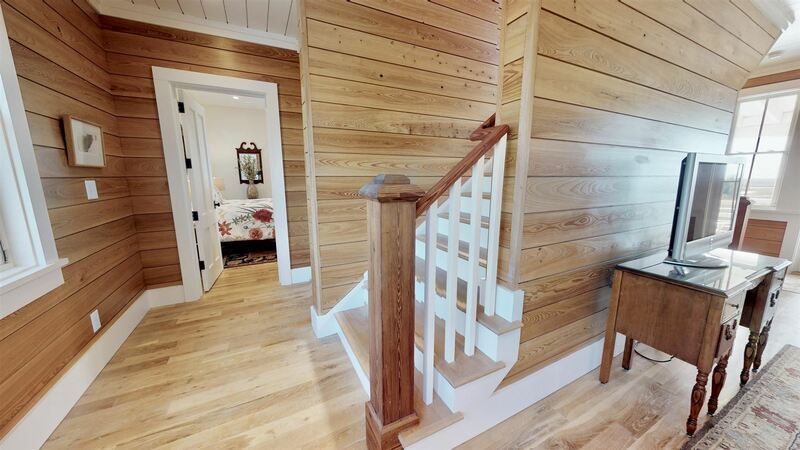 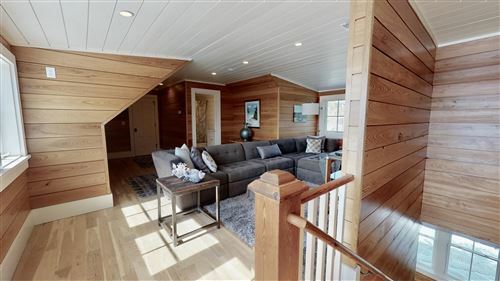 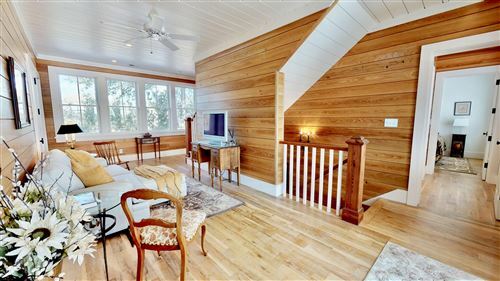 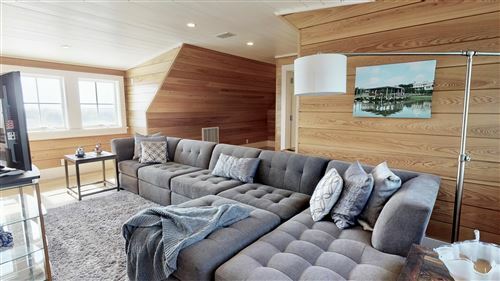 Cypress siding exterior, metal roof, elevated pool, and antique heart of pine flooring with clear cypress walls and extensive molding throughout. Gorgeous landscaping, vines, and terraced planters. 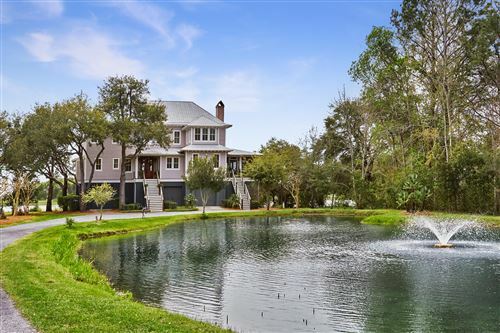 Welcoming porches surround this home that include open, covered, and screened with expansive views of the waterway and pond. 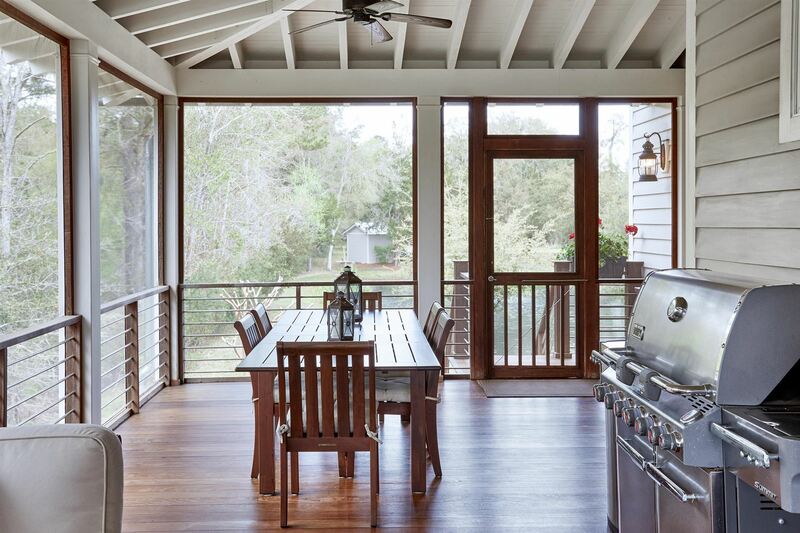 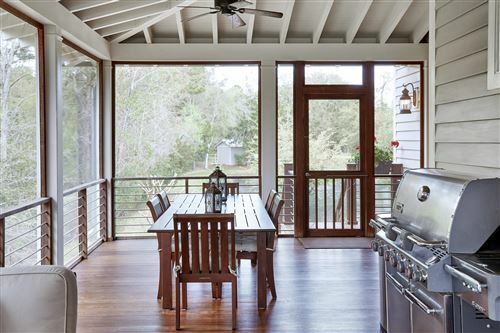 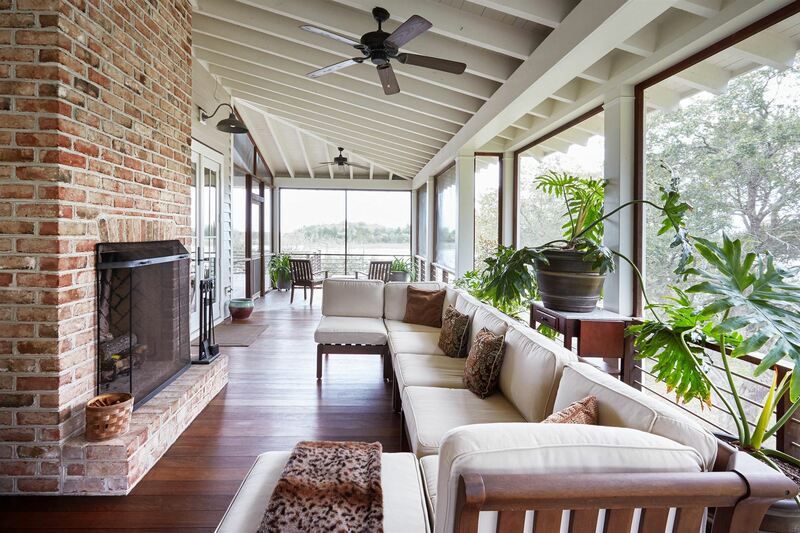 The screened in porch off the kitchen and living area has an incredible brick wood burning fireplace. 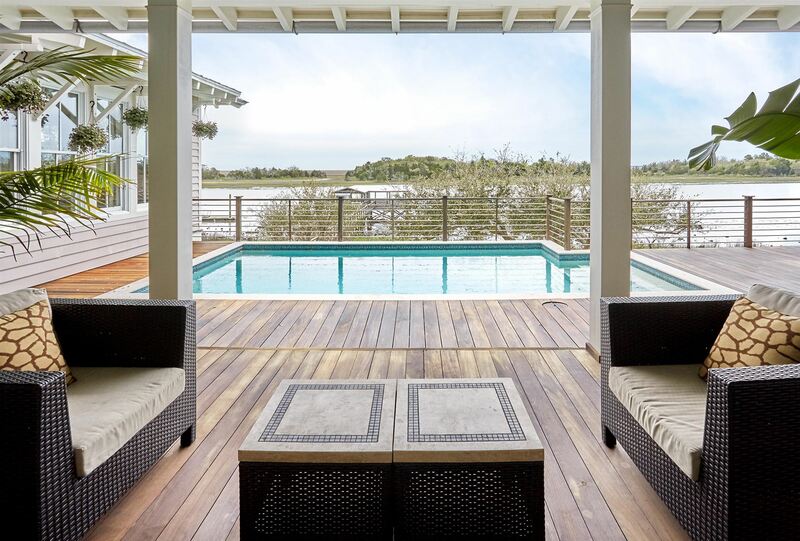 The main living space has an open floorpan that is an entertainers dream with water views from every window. 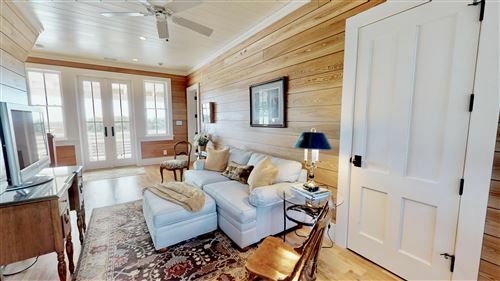 The living room has a gas burning fireplace with heavy crown detail, a wet bar with gorgeous cabinetry, sink, and viking wine cooler. 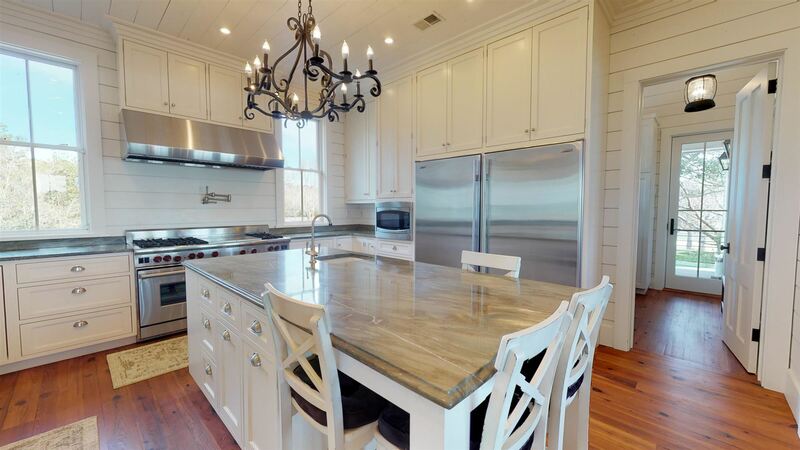 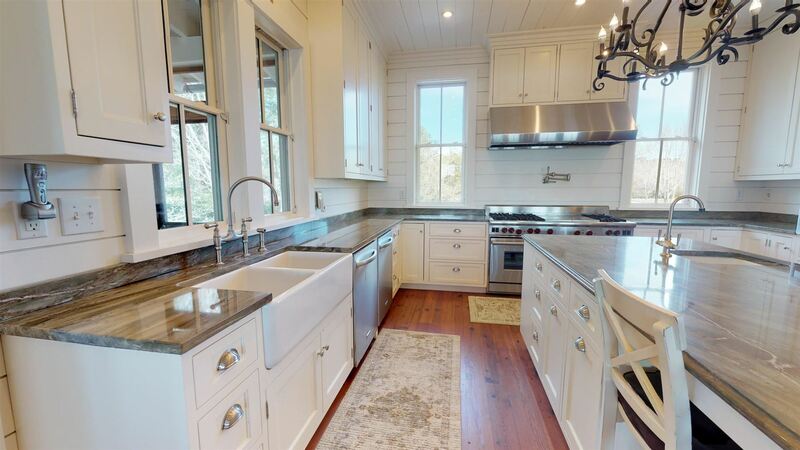 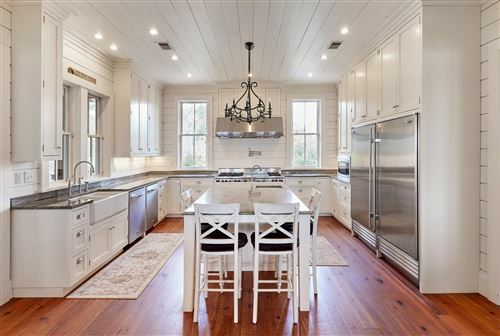 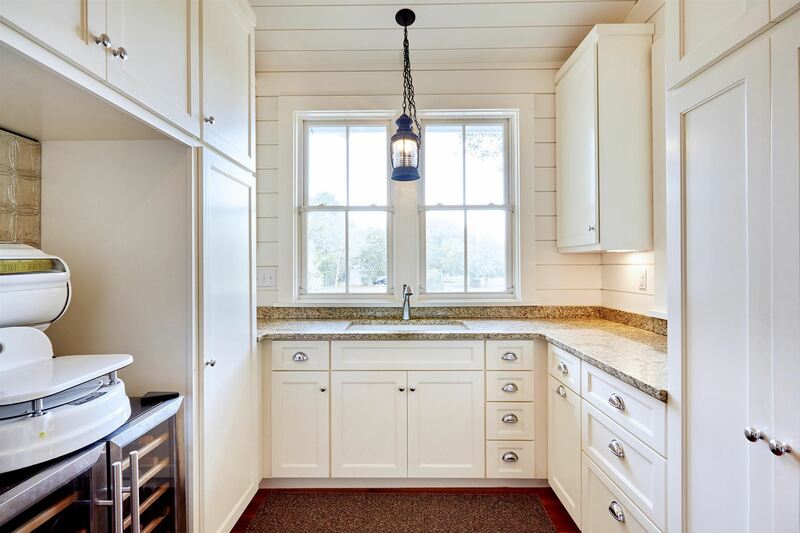 The heart of this home is the fabulous kitchen with its ceiling height cabinetry, granite countertops, and farmhouse sink. Wolf gas range, dual dishwashers, microwave, and Sub Zero refrigerator and freezer. 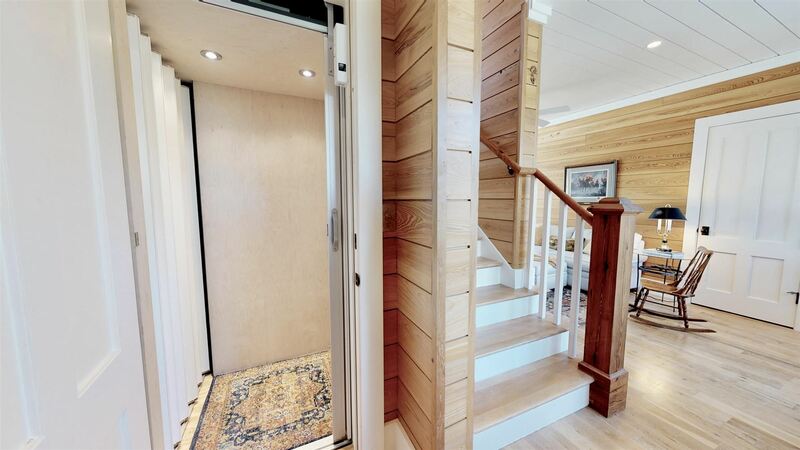 Brand new three stop elevator. 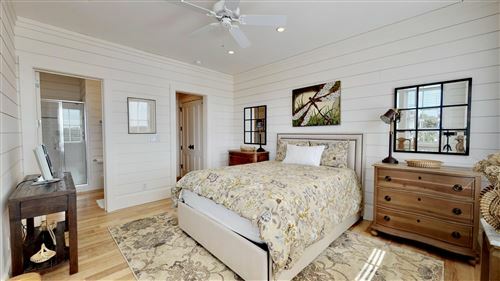 Master Bedroom suite is located on the main level with cathedral beamed ceilings, water and pool views, and mini kitchen area. 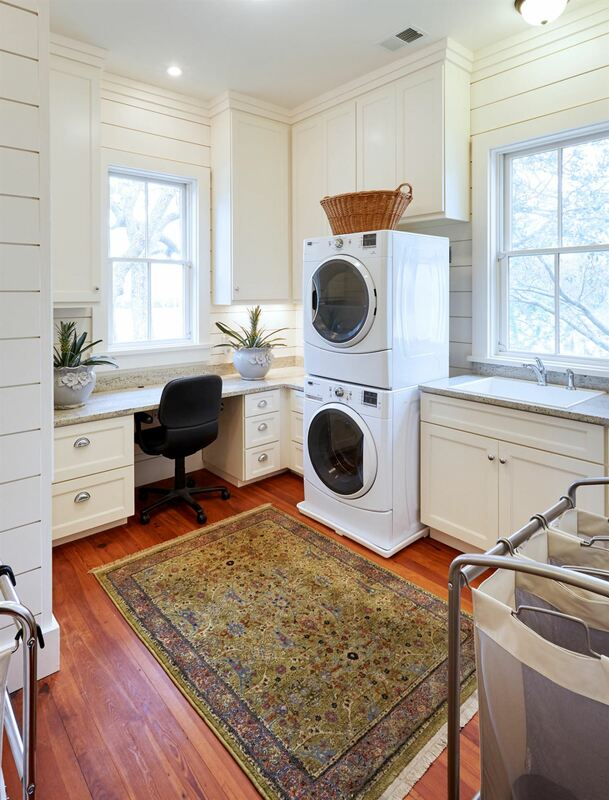 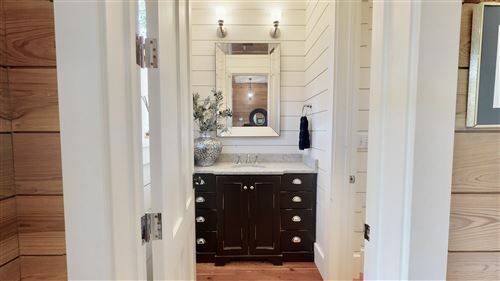 His & Her walk-in closet/dressing room, and private laundry/office area. 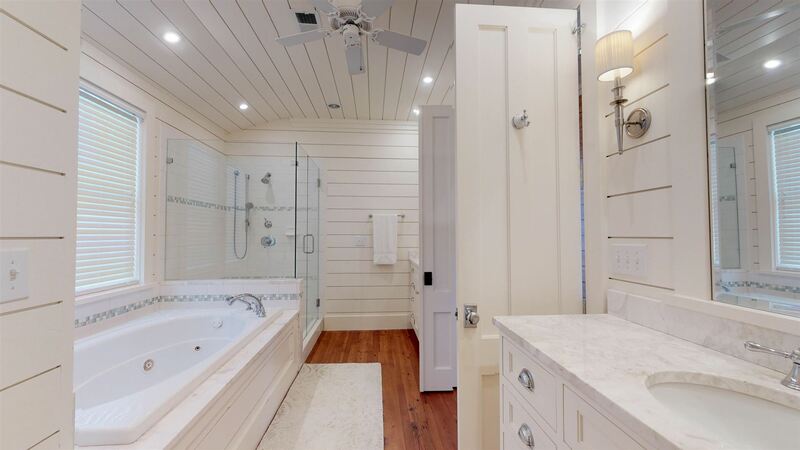 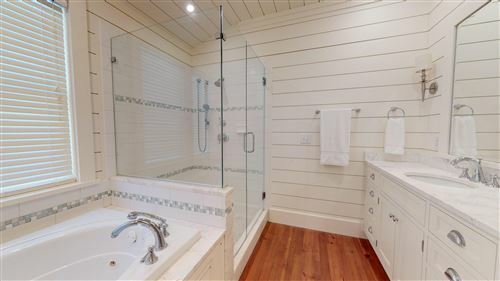 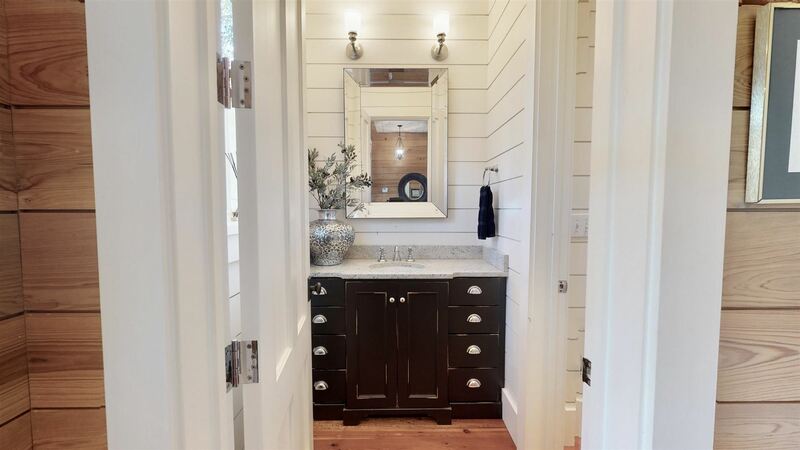 Master bath features dual vanities, luxurious tub, stone countertop, and oversized walk-in tiled shower. 4 guest bedrooms with private baths, office, and laundry complete the second level. 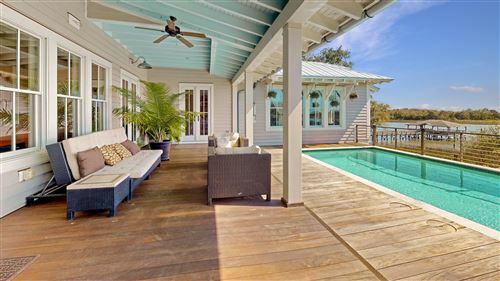 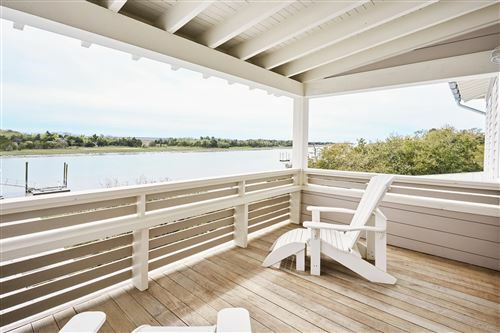 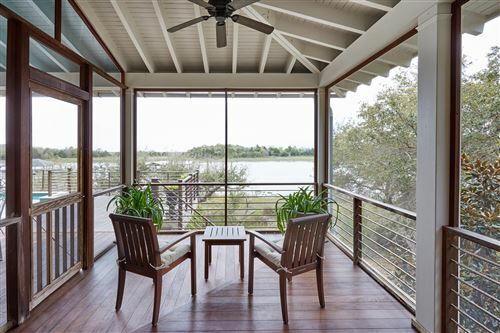 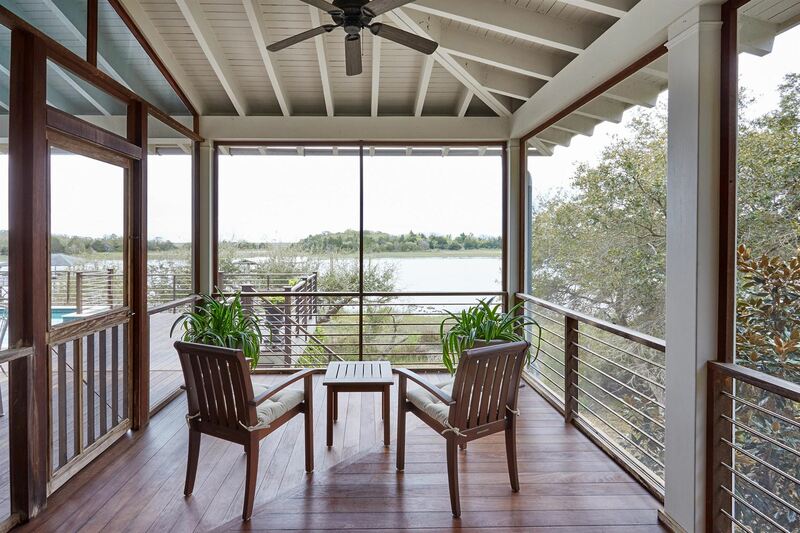 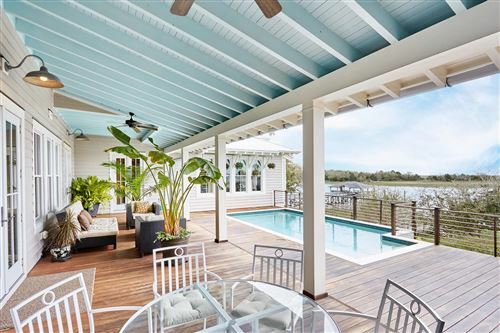 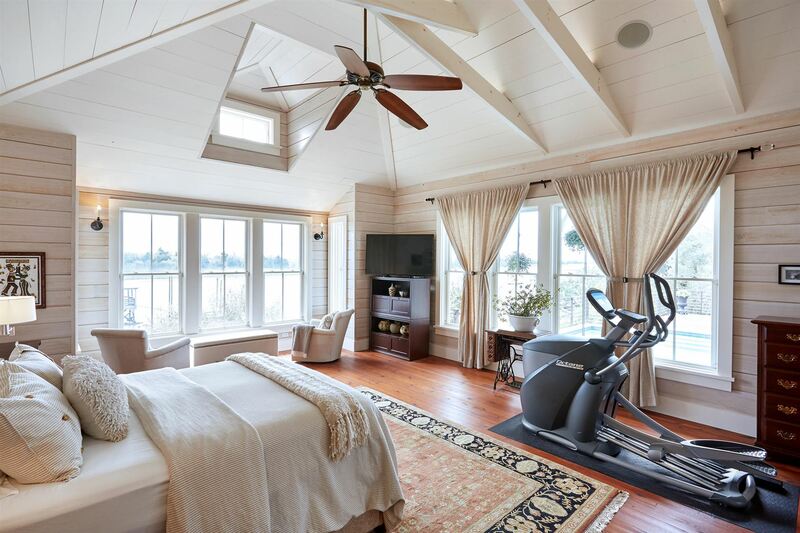 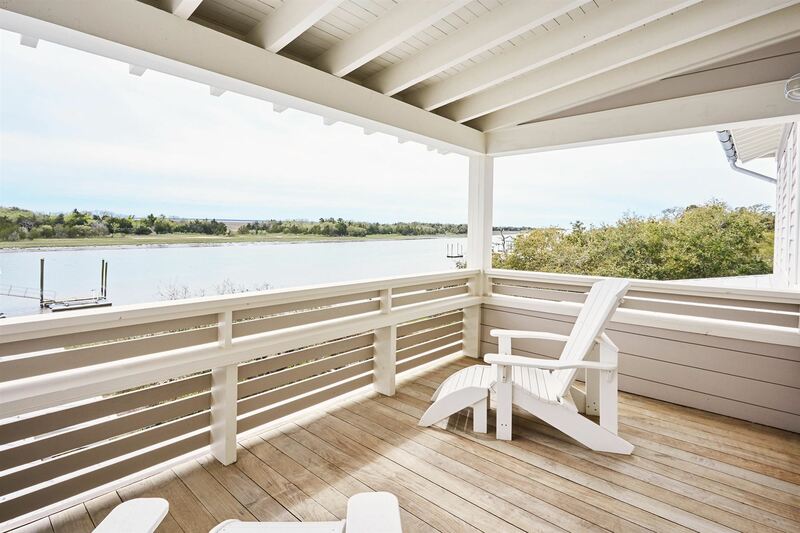 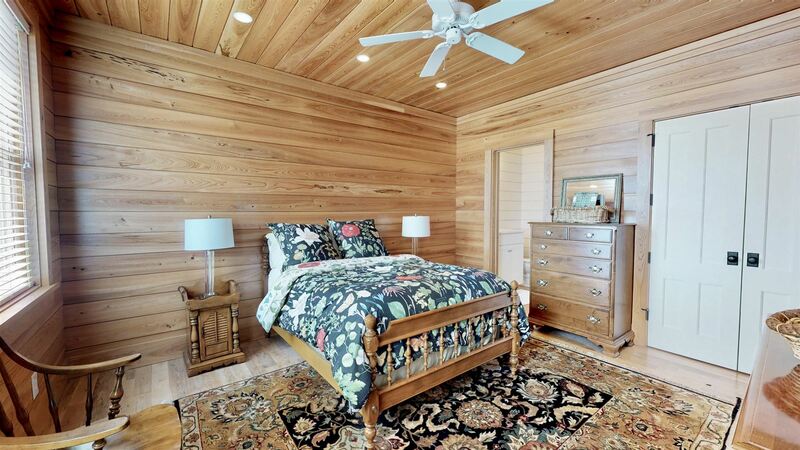 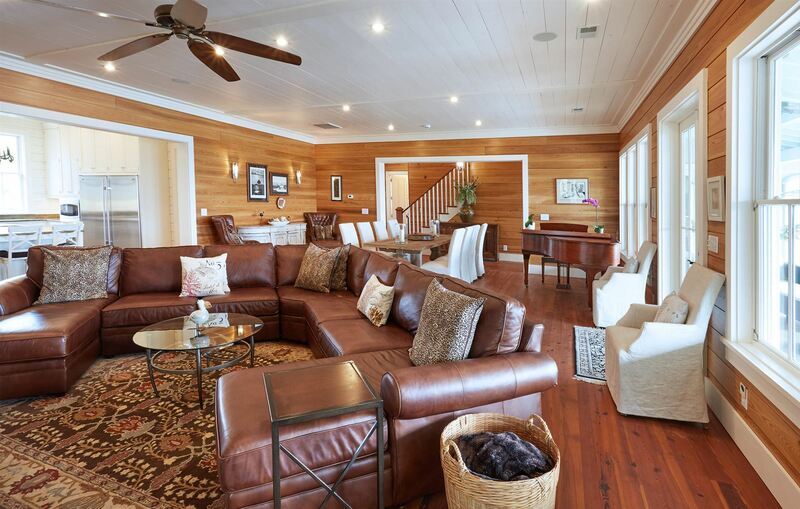 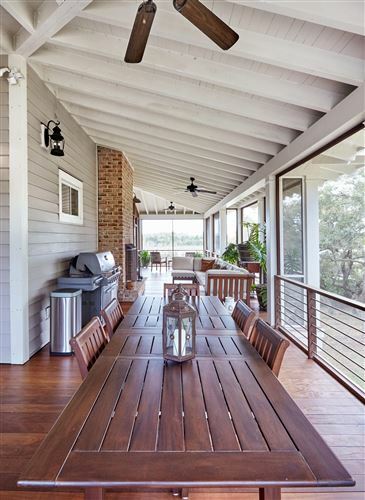 Open porch on bedroom level has breathtaking views of intracoastal waterway and Bulls Bay. Top level is a private cozy space that the owners use as a tv/lounge area. From this area you can see the intracoastal, Bulls Bay, and the Atlantic Ocean! It has a private bath and two storage areas. Storage areas are spray foam insulated. 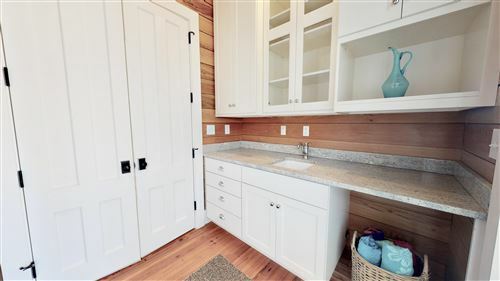 The home has 3 tankless Rinnai hot water heaters and 4 geothermal units which are one of the most energy-efficient cooling systems with efficiency up to 400% more than a standard HVAC unit. 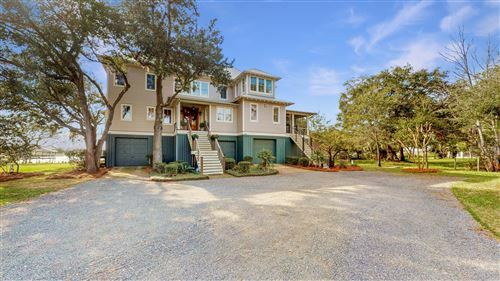 Whole home generator, hurricane impact doors and windows. 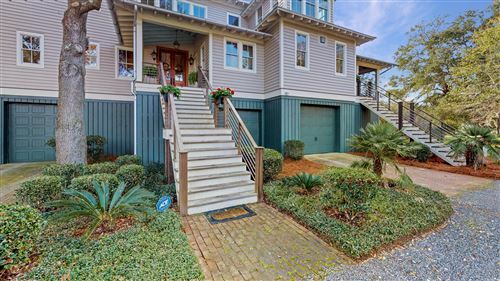 Drive under garage with hurricane strapping. Wonderful home suited for large family gatherings and entertaining. 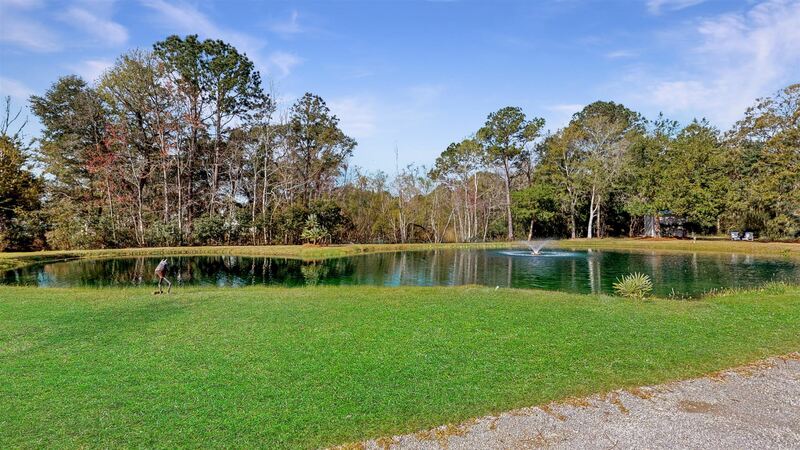 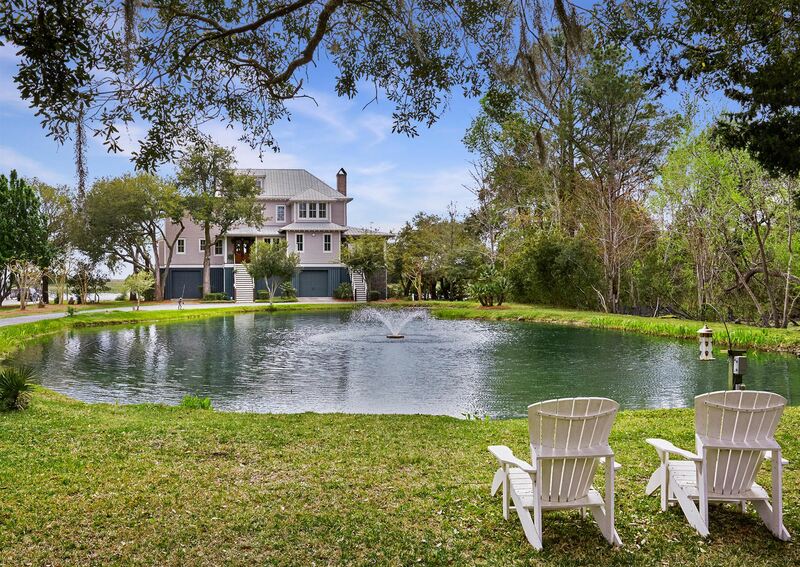 The property sits on over two acres that also includes a stocked pond. The elevated swimming pool is saltwater and low maintenance. 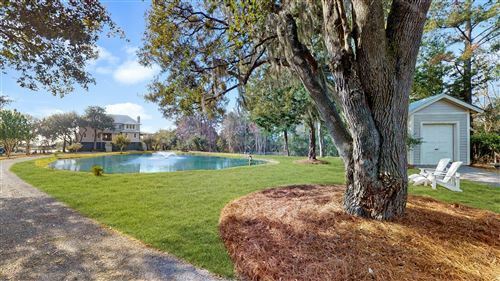 There is no other home on the market quite like it! 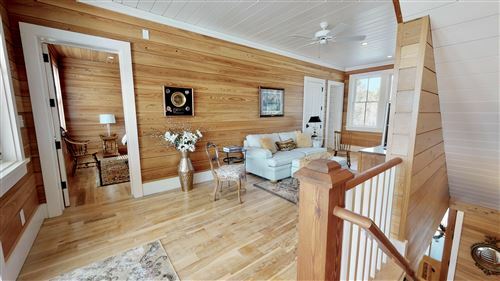 This is a quality built home with no expense spared. 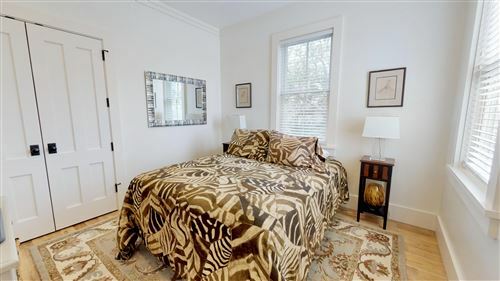 Less than 30 min to downtown Charleston, 20 min to Mount Pleasant, SC, and 40 min to Charleston International Airport!